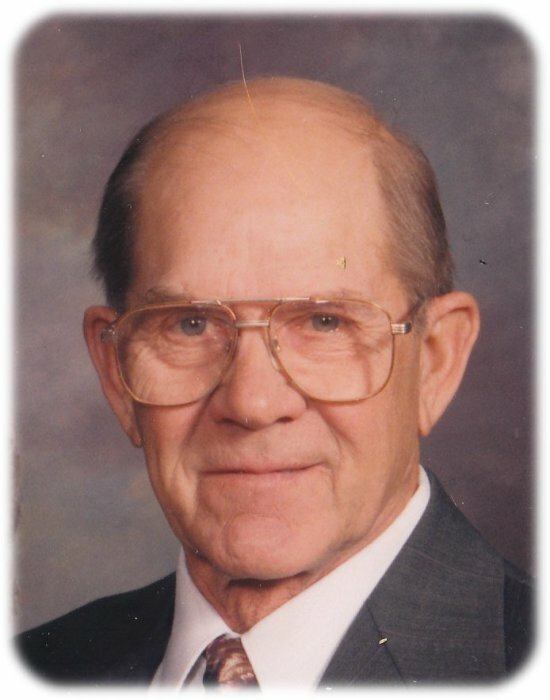 Funeral services for Delbert A. Schuhmacher, age 94, of Albert Lea, formerly of Myrtle, will be held at 11:00 a.m. on Thursday, January 17, 2019 at Bethlehem Lutheran Church. Rev. David Efflandt will officiate. Interment will be at Pilgrim’s Rest Cemetery. Visitation will be one hour prior to the service at the church on Thursday. Online condolences are welcome at www.bayviewfuneral.com. Delbert died Sunday, January 13, 2019 at Good Samaritan Society. Delbert Arthur Schuhmacher was born on February 24, 1924 in Myrtle, Minnesota, the son of Arthur and Lucille (Wahlers) Schuhmacher. He grew up in Myrtle and attended District 71 School. On April 18, 1945, Delbert was united in marriage to Bernice Arlene Schultz in Red Lake Falls, Minnesota. He was a dairy farmer on the farm where he was born. Delbert was a member of Bethlehem Lutheran Church, where he had served on the church council. He enjoyed gardening and camping in his RV. He loved to travel, and he spent many winter vacations in Texas and Arizona. Delbert is survived by his children, Lowell (Becky) Schuhmacher of Glenville and LaRae (Kelly) Oxley of Taopi; grandchildren, Jody Nelson, Ryan Oxley, Brad (Amy) Schuhmacher, Shannan (Mike) Dreyer, Megan (Alex) Padilla, and Nathan (MaKayla) Oxley; great-grandchildren, Hayden and Nathan Nelson, Jordon, Weston, and Molly Oxley, Hannah, Lauren, and Jackson Schuhmacher, Tenley and Keeley Oxley, and Marci Padilla; brother-in-law, Arley Schultz; sister-in-law, Mavis Arvidson; and many nieces and nephews. Delbert was preceded in death by his parents, Arthur and Lucille; wife, Bernice Schuhmacher; sister, Beatrice Meyer; sisters-in-law, Ellen Weiss Weiland, Verna Schultz, Pat Schultz, and Irene Schultz; brothers-in-law, Richard Weiss, Roger Arvidson, and Kenny Weiland. Special thank you to the staff at Good Samaritan Society. Memorials preferred to Bethlehem Lutheran Church.